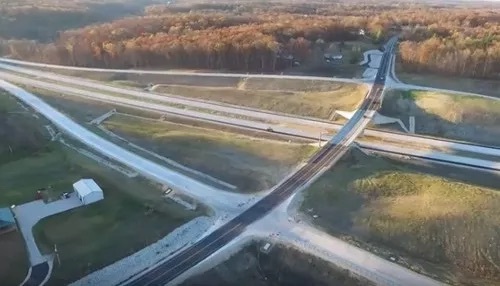 The Indiana Department of Transportation (INDOT) has the released the Final Environmental Impact Statement and Record of Decision for the final I-69 expansion section. INDOT says construction of section 6 of the Interstate project is expected to commence in fiscal year 2020. The work on 26-mile stretch of interstate between Martinsville and Indianapolis will increase economic activity and improve safety and travel times, with an estimated $4.1 billion in economic impact over 20 years, the 1,700-page impact statement says. The document says State Road 37 should be the route, and it includes recommendations roadway right-of-way, the locations and types of 10 interchanges, placement of 13 overpasses and underpasses, and as construction of 18 miles of new local access roads. INDOT says the new interstate will result in 1,300 fewer crashes each year reduce travel time by 11 minutes. You can read a copy of the report’s executive summary here.